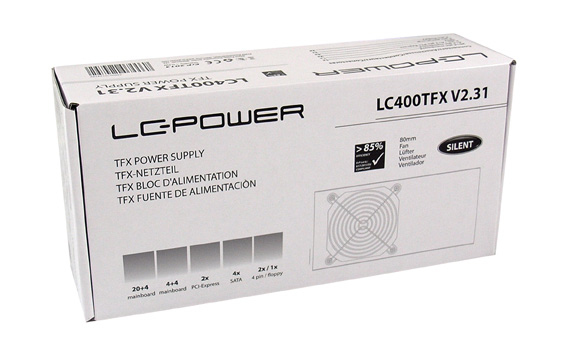 The TFX PSU LC400TFX V2.31 by LC-POWER offers a good price-performance ratio. 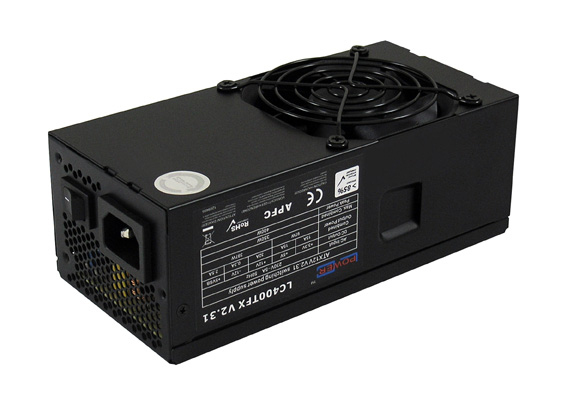 Thanks to its 80 mm fan, the power supply lets you experience a stress-free and silent operation for your HTPC. Despite the low sound level, the power supply offers a good cooling capacity for your system thanks to its ventilation grille on its back. The power supply features all relevant connectors of the office sector. The state-of-the-art energy saving technology decreases the power consumption in standby mode (0,24W) and increases the efficiency of the power supply > 85%!